365 Days With A Food Allergy: Freedom Rings? I always enjoy this time of year when we celebrate America. It makes me see hope when I look at the American Flag hanging from door to door. Our family plays American trivia games throughout the whole month of July, as we remember and reflect on the collaborations of faith, and the hope that people had and still have in this land. We teach our children the grand efforts, most noted accounts of the characters in our history that made such an impact, and leading to the world we live in today. Learning that the world hasn't always been the world we know now. We had to fight for the freedom to call this our America. Despite how we celebrate America's independence, our history is full of people unwilling to accept change and differences. Race and gender are a big part of that. After America's independence, it took almost another century of fighting for changes before Lincoln abolished slavery. It took until 1919, for women to be allowed the right to vote, after an 80 fight through Women's Suffrage. It then took another 40 years after allowing a women's right to vote, to pass the Civil Rights Act allowing all women, and all people of any ethnicity or race to do so, among other civil freedoms. Meanwhile, the dedicated veterans (of any color), gave their lives to service for this country all with hopes of making it how it is today, with a simple faith in America and its potential. These people granted us the freedoms that we've become so accustomed to. We forget the journey was long and hard and we, too often, take it all for granted. JFK said "Think not what America can do for you, but what you can do for America." I'm pretty sure that was meant to be an ongoing/ evolving thought, and so it should be. It makes me think of the lyrics to the song " This land is my land, this land is your land...". But, sometimes it doesn't feel that way as a food allergy mom. Sometimes it feels like there's no consideration for our land, respect for the enormous struggles that prevailed as victories, or the seriousness and magnitude of what it really means to be living our country, to be living the "American Dream. "Because, as a "food allergy mom," we are still fighting for equality and compassion, understanding and safety. These "American" freedoms were built on change, unity of cause, and definitely an acceptance of differences. All of these ideologies and intrinsic qualities of Americans are written throughout the Constitution and Bill of Rights. We've been through wars, greed, inhumanity, all which helped to define what it is that we, as a nation, stand for --and what we don't. "Liberty and Justice for all" pretty much sums it up. Liberty, a.k.a. freedom, is not always the case that's going on with food allergies today. Our children's basic human needs are not considered until something terrible happens, but isn't that the case with everything that caused change in history? Rosa Parks was brave enough to sit in the front of the bus to stand up for racial segregation, knowing she could be physically assaulted. But, some kids can't even get on the bus because their assailant is food, and it surely will take a gamble on their lives. Still yet, people are generally unwilling to learn about food allergies, and certainly unwilling to accommodate them in a public social setting. They see it like it's someone else's problem and that their singular effort isn't going to change anything. Now, Rosa Parks wasn't the only brave hero fighting her good cause, but on that day in December of 1955, she was one person who made a change. It only takes one person to be a leader of good faith and change. In a perfect world, "Liberty and Justice For All" is a great goal. But, life is always changing, and the need for people to continue growth is always in demand of leaders. People don't usually stand for much beyond the "what's in it for me" theory, until something difficult comes knocking on their door. There seems to be more and more people less willing to promote any sense of adaptation to change and education of the world's changes, including the food allergy epidemic. There's a resilience or barrier that , instead, creates a divide in humanity. It takes less time to have a fatal reaction to food than it does to teach someone about food allergy safety. This, to me, should make food allergy awareness a major priority. We see free CPR classes, but where's the "learn the signs of anaphylaxis" classes? If our country's history teaches us anything, it's that we have the capability to grow, evolve, and change, but it's going to take a lot of strength to get there, because people Hate change. I've often times found myself as the target of attack for my efforts, too many to note down here. However, most recently some of my food allergy safety advocacy has had me labeled by some as simply "a lecturer,"and not in good way. Inside, I was thinking of how I wouldn't have to"lecture" if people would stop compromising my daughter's well-being and life, but some people can't see the obvious no matter how hard I try to help them. I think about how my entire known lineage is braided in service to our country, so standing for something big is probably an innate strength I get genetically. My forefathers and foremothers served their country (the women did from second women were allowed the right to do so). I come from a long line of strong women, and I like to think I'm one of them and so will my little girls. My ancestors, in general, were a part of things bigger than just themselves, and made sacrifices that made a difference to some degree. I've witnessed that when you stand for something greater than yourselves, and try to lend your efforts to a real cause, (not simply your own wants and desires) your character becomes so clearly defined. It is when you're hurting or angry that your true character is found. Mine could be seen as a bull locking horns with the world to protect my daughter, and I'm not going to apologize for that. What lengths would you go to for your children? I know that I've been deeply misunderstood, but I don't see others' lack of regard for me or my efforts, as my problem. I've never worried about what people thought of me, I'm still so young and I've lived an almost unbelievable life of opportunity that I can relate in some way to anybody I meet regardless of their background. My high-school yearbook quote was "If you stand in front of me, I may not follow. If you stand behind me, I may not lead. Just stand beside me and be my friend." I've always believed in eternal equality at a deep-seeded level and I imagine that's how so many children with food allergies feel. I know my intentions are sometimes better than my execution of them, but I know where my heart lies and I'm not afraid of anyone who tries to bring me down. Lately, it's seemed more than usual. But, I've heard from those who I'd call role models, that that's a sign you're getting somewhere-- so I'm optimistic. When we started our non profit with a mission of providing inclusive events to families with food allergies, I knew our society was in desperate need of the "right now fix." The chance of a cure and the hopes and dreams of tomorrow are great and still present of course, but I wanted to provide something today, right now. We've made such a difference and met so many people who've supported our mission. There's no way to describe raising kids, an hour from Disney World, and not being able to participate in any community events because of food. Our situation is extreme, because of the contact and airborne elements of our daughters allergy, but still very inexcusably excluded. Imagine not being able to go trick or treating, hunting for Easter eggs, visiting the annual carnival & circus, social athletic groups that celebrate every party with pizza and ice cream, any of your friends birthday parties, a movie theater etc., etc, the list goes on. So, with FARM, we want to fix that. Looking back I can see why I majored in public relations and journalism when I struggled to pick a major. I see the need for an emotional outlet (mine was and still is dance), and I see how everything in my life occurred to prepare me so perfectly for the obstacle course and circumstances we face today. As much as people go on the defense of change, I believe our tests become our testimony, and I'm not going to apologize for the plan that God has for my life or my family's. As we continue moving forward against the currents, my house has been crazy busy gearing up for our organizations second annual 5K, another inclusive community event for food allergy families. This year we found a generous community of sponsors and a team of people who've begun to shine in our eyes. Our 5 star hospital, Health-First, decided to get behind us and title sponsor the whole event! I can see the changes we're all making together and it's BIG! Our sponsors believe in us and our mission to keep providing inclusive events. The real victories have been so drastically noticeable in the food allergy community. Kids have pulled me aside and personally thanked me and my husband, and looked to my 6 year old as their mentor. Next time, I'll tell you all about how a 6-year-old, with a life threatening food allergy can become a leader and trailblazer in the world. Kids and families have begun to associate FARM events as fun, creative, and way beyond expectations. I LOVE that an idea I had 2 years ago, has become something bigger and better than I ever thought and that I have had a hand in something so positive for children. At each event, after all the hard work of planning & preparing , there's a moment that I sit in awe. It's like I'm a child and I'm so excited, except I'm excited for the kids that sadly have become accustomed to being excluded and isolated from community fun. I watch them come alive with the simple excitement of inclusion, and it's the best feeling in the world. At our Non-Edible Easter Egg Hunt, we had such a huge turnout. It overwhelmed me with over 200 people and children thanking me and my husband. Families were gracious & grateful, and kids were able to just be kids without having to consciously avoid the land mines of food allergens lurking everywhere, just waiting to assault them- due to the chronic ignorance of others. On August 15th, we're hosting our second annual 5K themed "Nature vs. Nurture". We'll run an off-road, wild course among native Florida wildlife. The Ritch Grissam Memorial Wetlands is a photographers haven, home to over 25 species of birds and ,YES, alligators in their natural habitat. I love the metaphor of running in the wilds of Florida, as compared to day to day life with a life threatening food allergy. It's going to be an adventure and a run all in one as the community witnesses the simple, natural beauty in life, while having to be aware of their surroundings with some level of fear (anyone in Florida knows that alligators can show up anytime, but in their natural habitat they aren't aggressive toward humans). This beautiful area is safe and will have ample volunteers who work there and volunteers just donating their time to help. I'm really excited to share in the experience and I think it will help people understand our circumstances and have a memorable, fun experience. It's true that the lengths a parent will go to for their child can be extreme, or (what I believe) maybe the plan's always been laid out and someone else is driving the ship? If history repeats itself, we can expect a victory after a long battle. I'm going to have to update my Hello Mama's profile as wild and "runs with alligators", lol. Please, if you haven't already, join Hello Mama's, it's the perfect place to find other food allergy moms in your community who have your same interests. It's so brilliant, only 3 woman could've thought of it! Thank you Women's Suffrage Act! 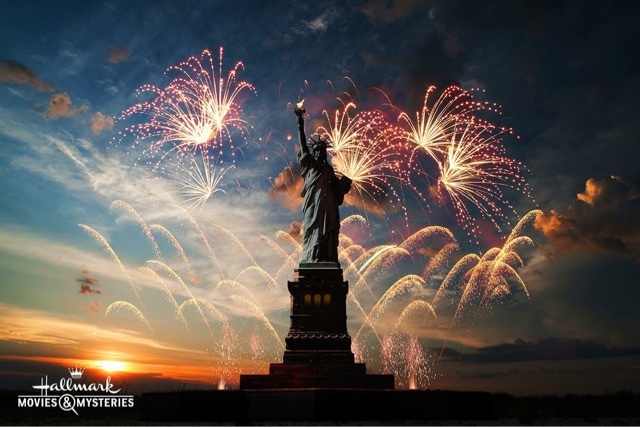 As we celebrated America's independence this month, Hello Mama's is now a global support for Mom's. They are in all of North America, Australia, New Zealand, and Europe! Watch out world we're all changing and adapting so try to keep up!